A retired psychotherapist wrote a compact book to help intended readers cope with grief and mourning following the death of loved ones. For the bereaved, a spiritual-practical tool to process their grief and at the same time, honor the relationship with departed loved ones. 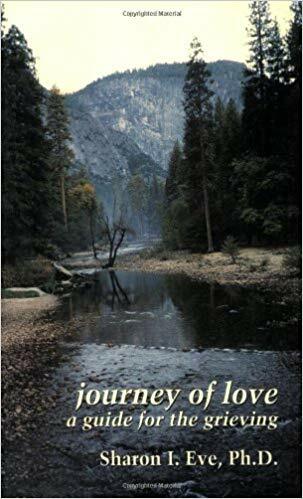 Dr. Sharon I. Eve published Journey of Love: A Guide for the Grieving (Daniel & Daniel Publishers, 2001), a resource for people who go through a difficult emotional episode dealing with the loss of loved ones, even if those deaths occurred some years ago. The title of this part spiritual and part practical resource pertains to the process of grieving, to which the author refers to as a journey of love because it is a journey in which one honors the relationship with loved ones who are now gone. Having experienced the major loss of someone very close to her, Dr. Eve experienced her most heartbreaking yet life-altering period in life. As she dealt with the grief that came with her loss, she could not put into words the sorrow that she felt. Like many others, she felt vulnerable and uncomfortable in opening up about her heavy and confusing feelings to people. However, Dr. Eve did not leave it to just that. She took her own journey of love, which was unlike anything she had experienced before. She had come to share with many of her clients in their own grieving process and relate to the emotional struggle of those who profoundly love and deeply grieved their departed loved ones. Journey of Love contains the stories of their grieving journeys. Journey of Love is the fruit of Dr. Eve and her clients’ experience of emotional expression which paved the way for healing the pain of loss and their openness in sharing their stories. By reading this resource, intended readers will finally experience a great sense of peace amid their deep and meaningful loss. Do look out for Dr. Sharon I. Eve’s Journey of Love: A Guide for the Grieving at the upcoming 2018 Frankfurt International Book Fair on Oct. 10 to 14, 2018 in Frankfurt, Germany. Written by Sharon I. Eve, Ph.D.
Dr. Sharon Eve earned her bachelor’s degree at Pomona College in Psychology, her master’s degree at Loyola Marymount University in Counseling Psychology, and her Ph.D. at University of Southern California in Counseling Psychology. Her doctoral dissertation examined certain personality characteristics of adult children of alcoholics. For many years, she was an instructor at UCSB Extension, teaching courses on intimacy and relationships, codependency, communication skills, anger resolution, and the grieving process and was a teacher at the Santa Barbara College of Oriental Medicine. She was formerly the director of patient services at the Alcoholism Center for Women in Los Angeles. Dr. Eve has 25 years of experience from 1985-2010 as a licensed psychotherapist in Los Angeles and Santa Barbara. Her office is currently based in Ashland, Oregon and she continues to consult and teach internationally.